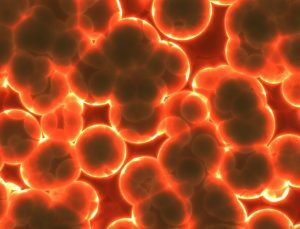 Billions of people carry a form of Staphylococcus bacteria; however, it is typically harmless when it stays in the right place. People carry it in their mouths, on their skin or in their nasal cavities without any reaction. If staph gets where it isn’t supposed to … such as eating contaminated food or entering your body through a cut or scrape, it can cause serious conditions. It’s important to recognize the symptoms that might lead to unwanted medical conditions. Food Poisoning – Perhaps the most recognizable staph infection because most people have experienced some form of this during their life. Symptoms include nausea, diarrhea and vomiting. Severe flu-like symptoms – High fever, muscle aches, abdominal cramping, diarrhea, vomiting are all symptoms associated with Staph. If staph enters the blood stream you may develop toxic shock syndrome or bacteremia. Blisters or boils – This common symptom is many times mistaken for an insect bite. These painful blisters and boils may erupt anywhere on the skin on any body part. Painful joints – Severe pain in the joints, especially the knees may be a sign of septic arthritis. This condition is a result of staph infecting a joint and may result in swelling as well. Staph is no joke. It can lead to serious consequences. If any of the above conditions are coupled with a high fever, seek medical help immediately. At Emergency One, we can diagnose your symptoms and make the correct call when it comes to your health.